On 12 Dec 2015, the UNU-IAS Operating Unit Ishikawa / Kanazawa (OUIK) will hold the third lecture of its Noto’s Satoumi Lecture Series. The event will take place in Suzu City, Ishikawa prefecture, Japan. Suzu City, located at the tip of Noto Peninsula, Ishikawa Prefecture is surrounded by sea on three sides, with Rokkozaki at its northernmost point as the dividing boundary between intricate reef zone of the “Soto-ura” that is exposed to the rough waves of the Sea of Japan, and the gentle white sandy coastlines of the “Uchi-ura” facing Toyama Bay. This diverse terrain on its 67km long coastline produces a variety of marine products for coastal fisheries in Suzu’s satoumi. 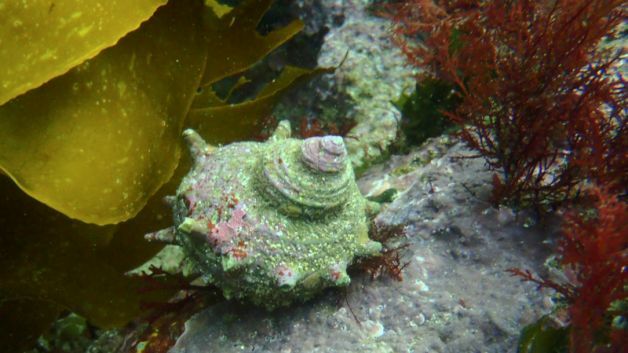 In particular, its rugged coastlines of rough waves provide ideal habitats for shellfish such as abalone and turban shell, which supports shellfishing as an important source of livelihood for local fishers. However, the role of shellfish and its ecosystems has been shrouded in mystery, unknown to even most experienced fishers. In the upcoming lecture, Shellfishes of Satoumi, the Underlying Strength of the Sea, UNU-IAS OUIK will welcome Professor Kawamura Tomohiko (Atmosphere and Ocean Research Institute, The University of Tokyo) to speak on the role of shellfish and its ecosystems. He and other speakers, including stakeholders from the fisheries industry, will explore the ecological, social and economic importance of shellfishing to the local fisheries and coastal communities of Suzu City. In particular, the lecture will discuss satoumi’s role in the revitalization of local industries, and how in turn these industries have embraced satoumi as a movement that is worth preserving. This lecture is part of a UNU-IAS OUIK educational campaign focused on the “satoumi movement”, which introduces and promotes the Noto Peninsula as a successful example of satoumi and a leading region for research on satoumi conservation.